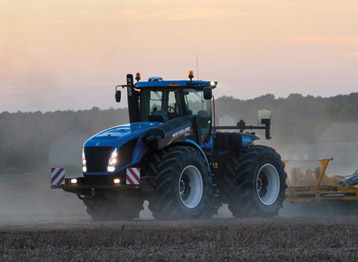 T Series farm tractors offer improved performance with Tier 4B ECOBlue™ HI-eSCR. Find your new T9, Genesis T8, T7, T6 T5 and T4 tractor. 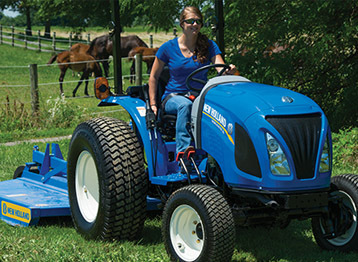 The upgraded PowerStar™ Tractor offers with responsive performance, big comfort, and reduced operating costs. 50 or 65 PTO horsepower available. Learn more. 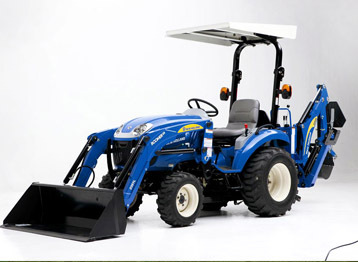 Workmaster 4x4 compact tractors are built tough, are easy to operate, and provide reliable power. 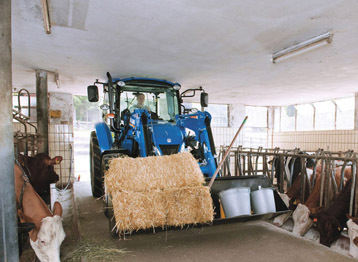 Add a loader, rotary cutter, disc harrow or backhoe. Learn more. Boomer Compact Tractors can haul dirt and mulch, mow acres of grass, till a garden or plow snow with all the implements you'll need. Learn more.